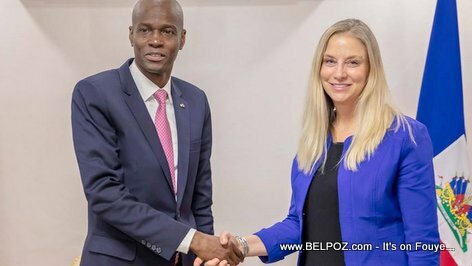 Here is a photo of Haitian president Jovenel Moise and his wife, first lady Martine Moise entering the National Assembly on January 14, 2019, accompanied by Senator Pierre Francois Sildor and Depute Caleb Desrameaux and other members of his government. 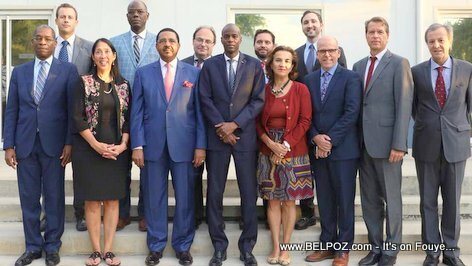 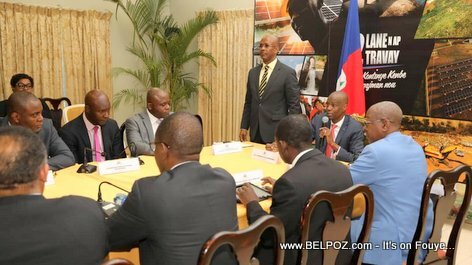 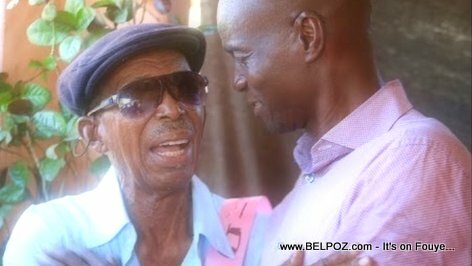 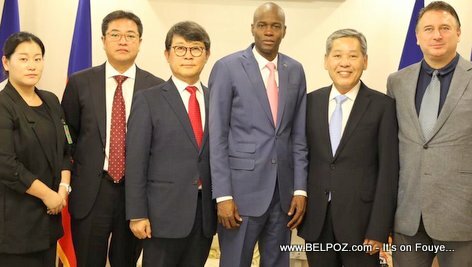 Haitian president Jovenel Moise met with members of the Core Group on July 10 2018 following the recent street protest after the government decided to raise gas prices in Haiti. 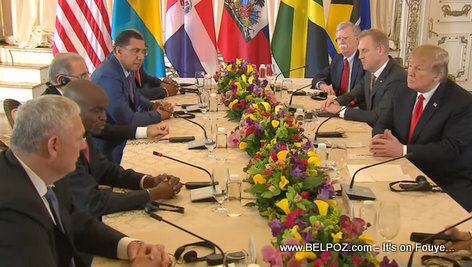 I meet the Core Group today in the wake of exchanges with different sectors on the current crisis. 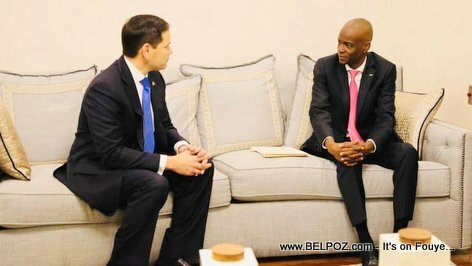 Dialogue has always been a key factor in my strategy of action and response to major national issues. 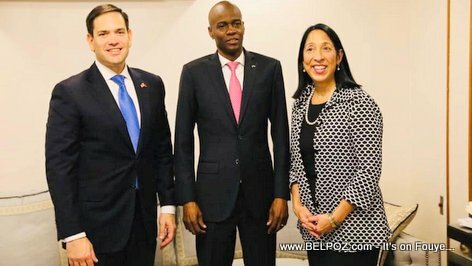 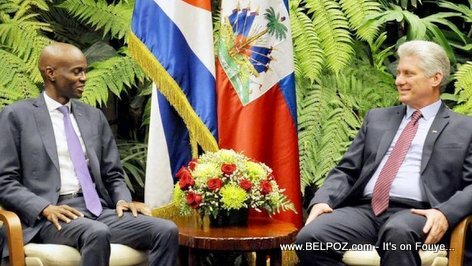 Among the people in the picture is Michele Jeanne Sison, the United States Ambassador to Haiti.